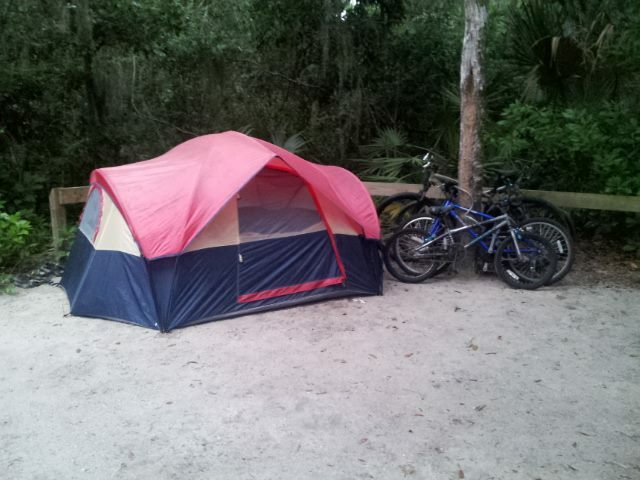 I’m writing from our campsite in Anastasia State Park. My 12 yo is seriously impressed with the place because of the restrooms (complete with locking shower stalls), laundry facilities and the fact that we have running water & electricity directly on site. He’s never really experienced a, “full service,” campground before. In all the years of his life, we’ve opted for the cheaper primitive sites with no such modern conveniences. 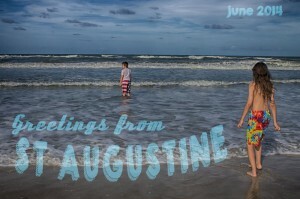 Yesterday, was our first full day to explore St. Augustine. From what I’ve experienced, so far; it’s a quiet, relaxed family-friendly beach town with a rich history. In addition to playing in the waves at Anastasia State Park; we were able to explore Ripley’s Believe it or Not! Museum, The Pirate & Treasure Museum and Castillo de San Marcos National Monument. 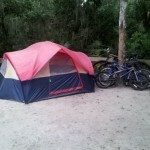 While I haven’t explored much of Anastasia State Park, beyond our cozy little campsite & the beach area, it seems to be a great place for a beginner to start camping. As I mentioned before, there are restrooms that include shower, laundry & dishwashing facilities. The sites are small. But, they each offer a picnic table, and running water & electricity. We have driven past a Nature Hike Trailhead a couple times & hopefully we can stop and check it out, soon. Last night, we had some sort of critter actually get into our vehicle. Now, I’m not exactly sure how this happened. Maybe it climbed up in the back hatch when we weren’t looking or something. But, when I awoke this morning, the driver side door was open and something had raided our stash of cashews and ripped open some cereal bars, leaving a trail of wrappers from the Envoy into the woods. My partner claims he locked the car doors. So, with that in mind, the only possible way this happened is if the creature snuck into the open hatch as we were unloading & opened the door to let itself out in the middle of the night! The beach is excellent. We saw very few people and continued our reign of practically having beaches to ourselves. 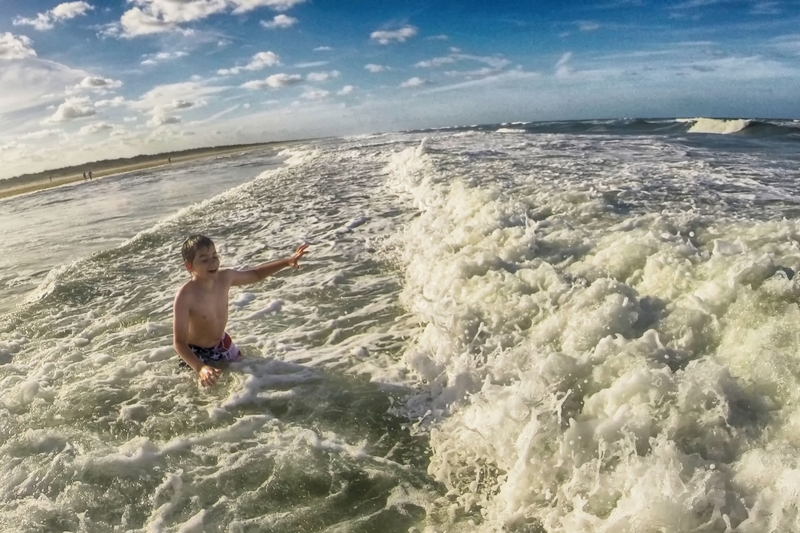 “The waves were awesome,” according to my 10 yr old, J Bear. 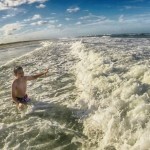 While I was totally consumed with snapping photos of my little beach bum enjoying his time at the ocean, my cell phone tumbled out of my camera pack & landed in the salty sea. I snatched it up quick. But, it had been fully submerged. Waiting for it to thoroughly dry out so I can assess the final damage on that. We were able to get some use out of our first aid kit. My partner went riding his mountain bike, around the park, wearing sandals. As a result, he has diagnosed a broken toe. He used some tape from the first aid kit to tape it up to another toe, in order to provide some extra stability. Stay tuned for more of our (mis)adventures in St. Augustine. Sounds awesome. Sorry about the few mis -adventures but they will certainly make your trip more memorable. Put your phone in a bag of rice. It really works.